This is just a little refresher of a few things we can do & remember to keep our little ones safer. 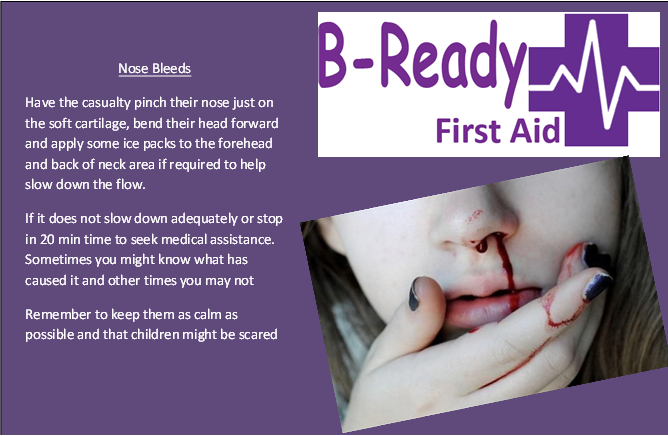 Lets keep our little people safe from injury, here is a little bit of information to help assess a child's head injury & just how serious it is or isn't. This does not stand for medical advice as each case is different so just take this a general guide. 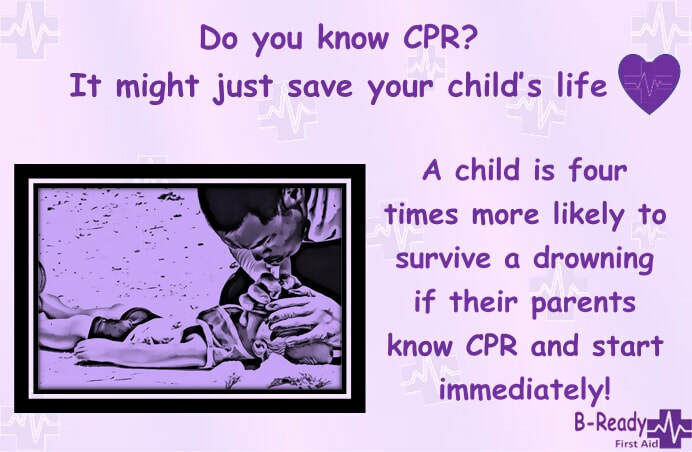 Whenever a parent is unsure it is always better to have it checked out! Asthma & our Children numbers is so high, this is such a scary thing to experience & manage. 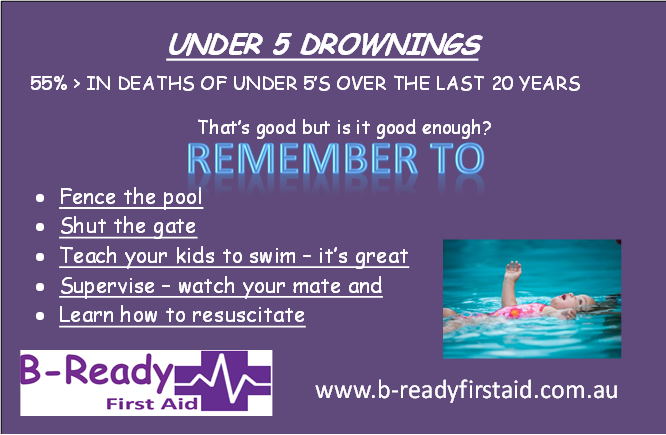 More people die in Australia from Asthma than Drowning :( . 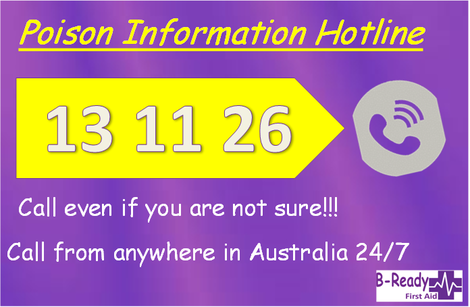 Check out this short video which ends in how to manage an Asthma emergency. Food is common for children to choke on, but my question to you is, What do children put in there mouths?Yes it can be anything but here is a little reminder about some food items. 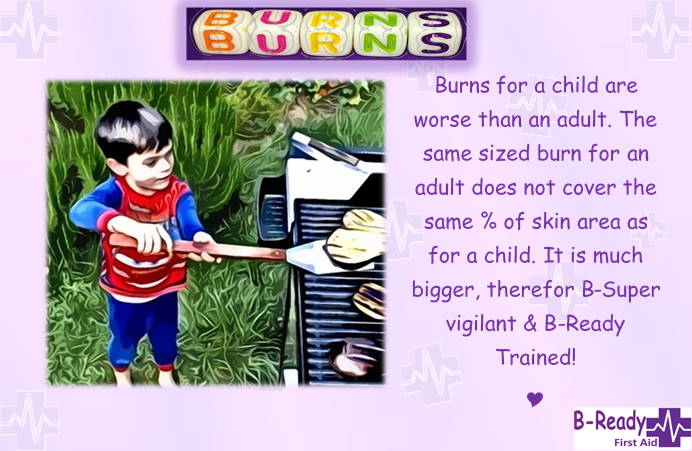 Something to keep in mind when assessing a burn for our little people. 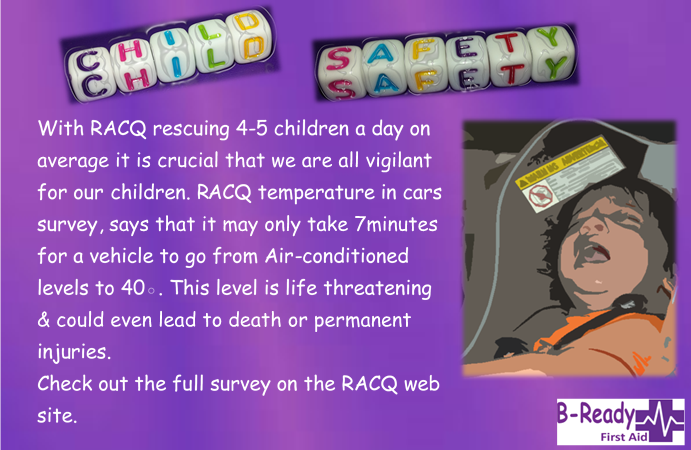 Just in November 2017, I just heard that RACQ rescued 13 children from cars in one day. 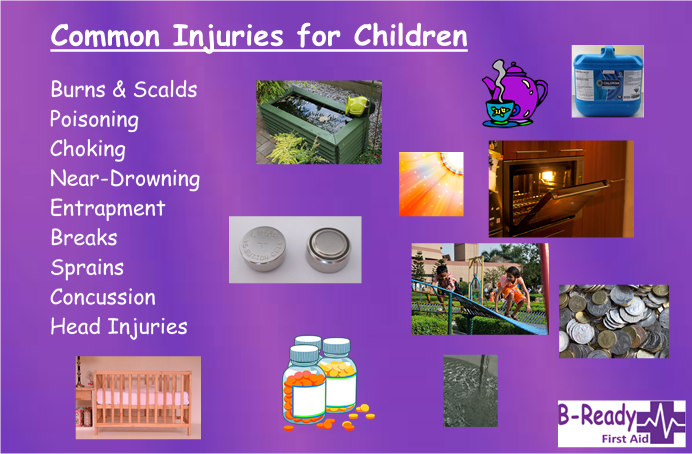 Most injuries for our children happen right under our noses in & around our homes. We can just try to lesson the risks for our little's B-Aware & B-Ready. 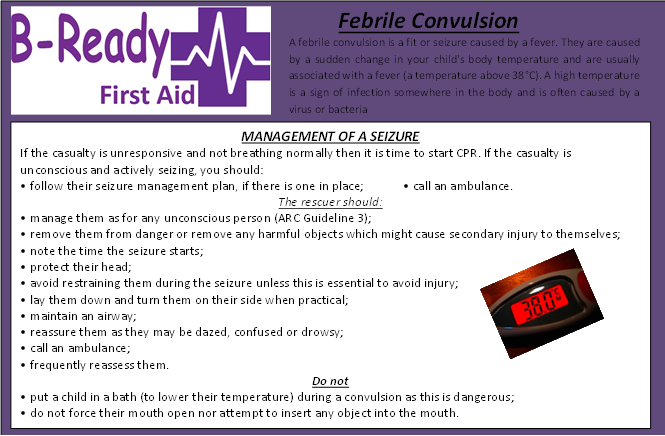 B-Ready First Aid: Important number to keep in a prominent place just in case! 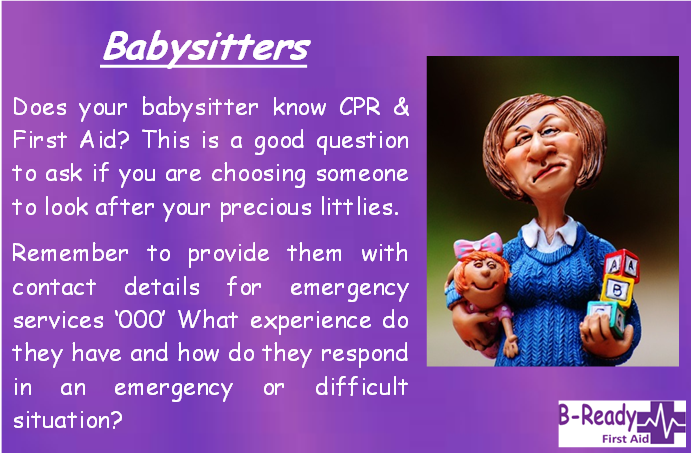 B-Ready First Aid : Check your Babysitter is current with certification! A good Decrease but not enough! 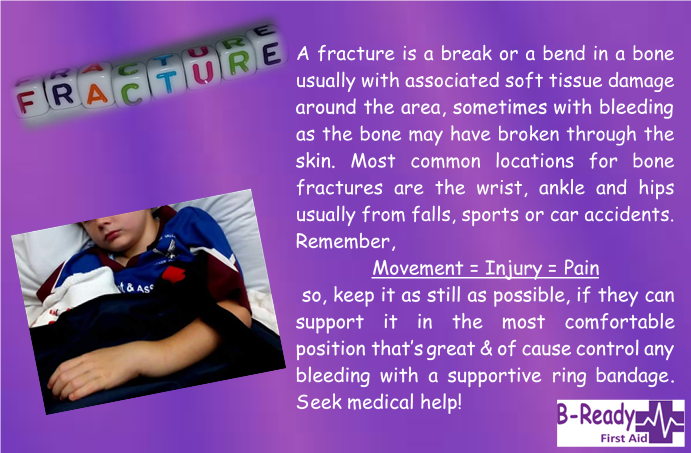 A fracture may be obvious & at other times not... When in doubt always get it sorted out & seek Medical assistance. 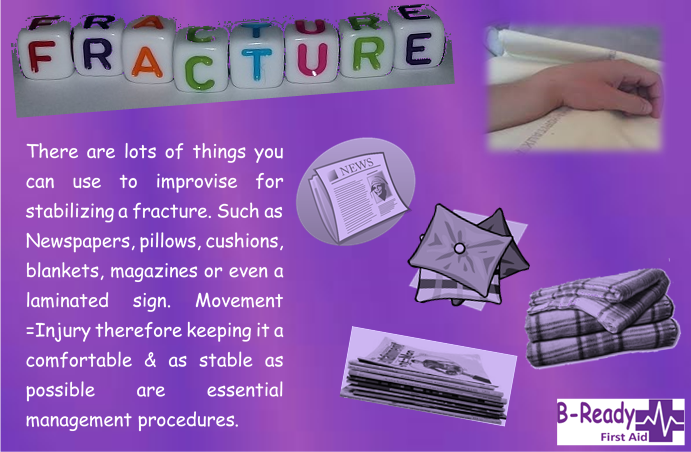 Fracture management & improvising idea's. We are sure you can think of more! 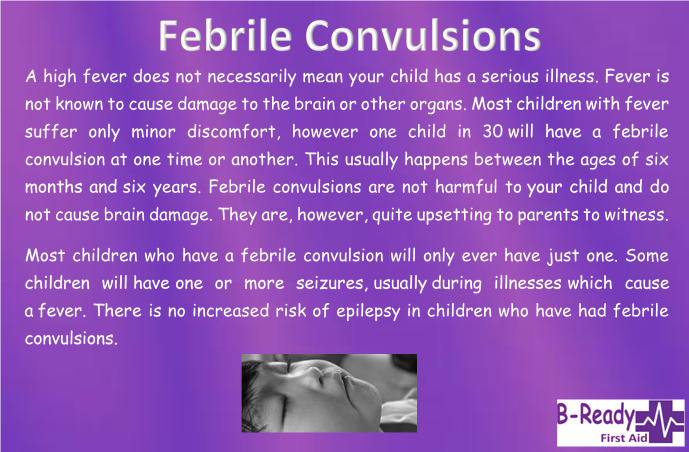 Here are a few thing to keep in mind regarding children experiencing a seizure due to a rise in body temperature. Please remember it is not okay to put them in a bath to bring the temp down as this can be most dangerous. 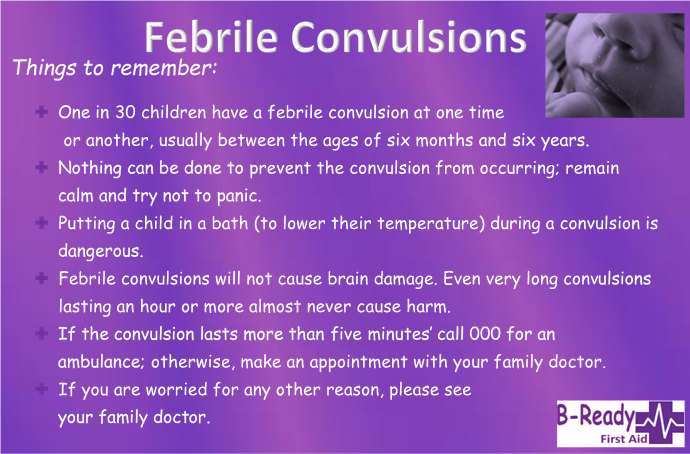 Febrile Convulsion management while a child is seizing is exactly the same, however the care for reducing their temperature is imperative to learn.